This function has the benefit of needing only one parameter, , but suffers from a discontinuity at and low accuracy at high incident angles. Some authors suggest not applying this function for incident angles where (Abella et al., 2003). Figure 1 compares ASHRAE model results for two values of . Figure 1. 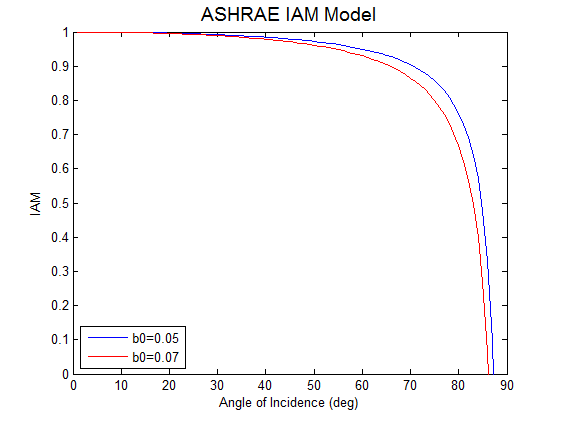 IAM Model Results for the ASHRAE model.